Today my husband came back from the Farmers Market at Country Mart with a bag of really large fresh oysters in the shell and I knew immediately what I wanted to do with them. A couple of years ago, our friends, Chris and Carrie, gifted us with a bag of fresh oysters they had brought back from their weekend at Point Reyes. 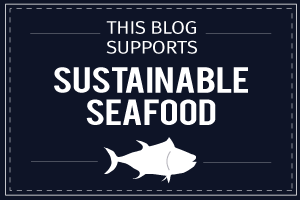 Not having prepared oysters before, I went on to the Hog Island Oyster Company website and found many great recipes for both raw and cooked oysters. 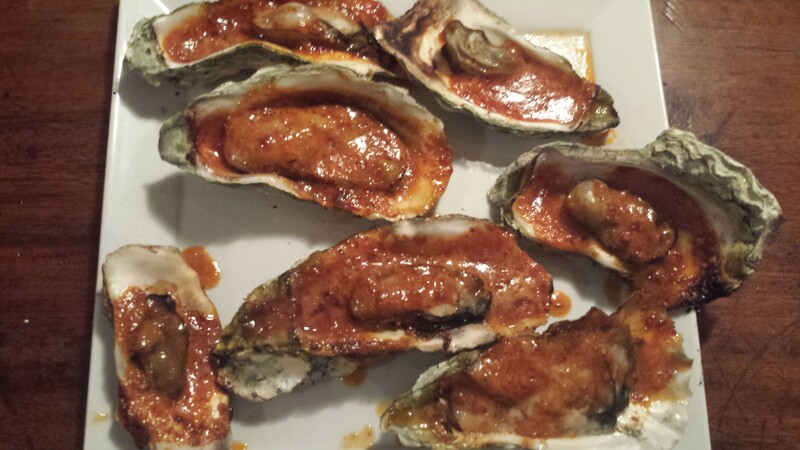 We opted to try their “Hog Wash” mignonette and their barbecued oysters with Garlic Chipotle Butter. We really liked the Hog Wash for dipping raw oysters, but we Loved the Garlic Chipotle Butter. We were practically licking the shells clean! Following is the Hog Island recipe. I took a shortcut and used one whole tube of garlic paste which was much easier than peeling and chopping ¾ cup of fresh garlic. I had a 7 oz can of chipotle chiles in adobo sauce so I used the whole thing, rather than wasting some of it. Otherwise, I followed the recipe pretty closely. I have now done both the ‘burrito’ method and the bowl and spoon and think both work just as well.. In preparing the oysters, you can pre-shuck them using an oyster knife or put them on the grill whole until the shell pops (it is an audible pop) and you can more easily remove the top shell. Make sure you have an oyster knife. A regular knife will not work and is unsafe. Click on this link for a video of proper oyster shucking technique from Hog Island. http://hogislandoysters.com/kitchen/shucking-oysters Enjoy! Half of (10 oz) can of chipotle chilies in adobo sauce,chopped. In a medium bowl, dissolve the brown sugar with the bourbon. In a food processor or blender, combine the softened butter with the bourbon/brown sugar mixture and add the garlic and chipotles. Mix on medium/high speed until well blended (OK if some chunks remain). 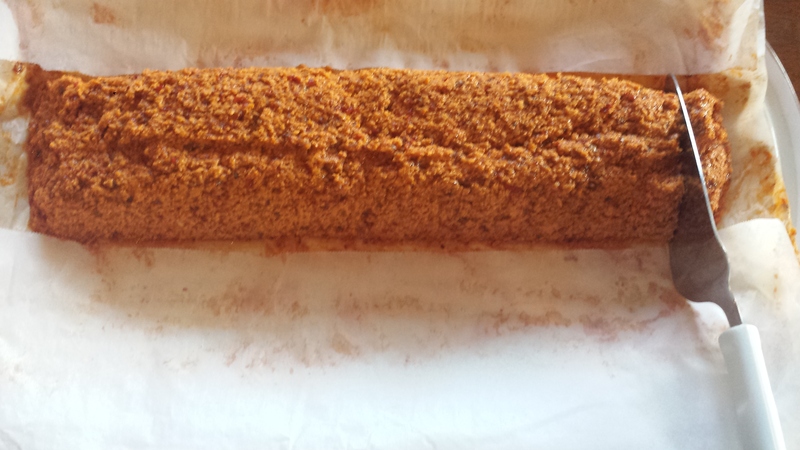 Lay down a sheet of parchment paper (12″ or so), scoop the butter compound onto the sheet working to form a long row. 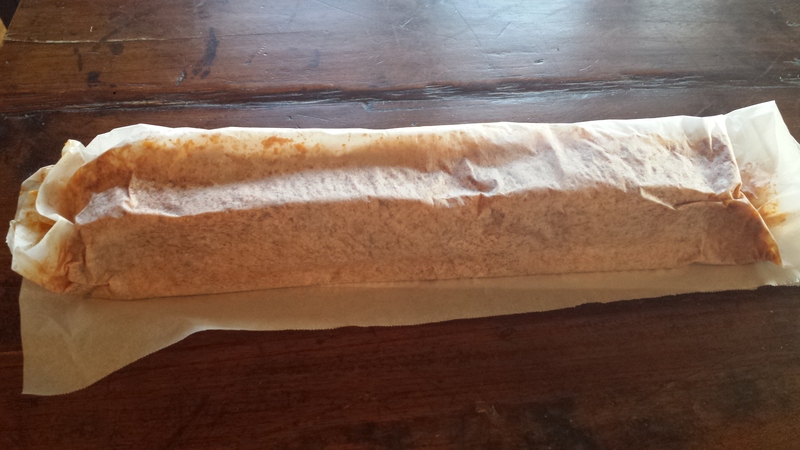 Roll the butter in the parchment, like a burrito, folding the ends as you go. Refrigerate for about two hours or until firm. The finished roll should be the dimension of a cube of butter, only longer (about a foot). 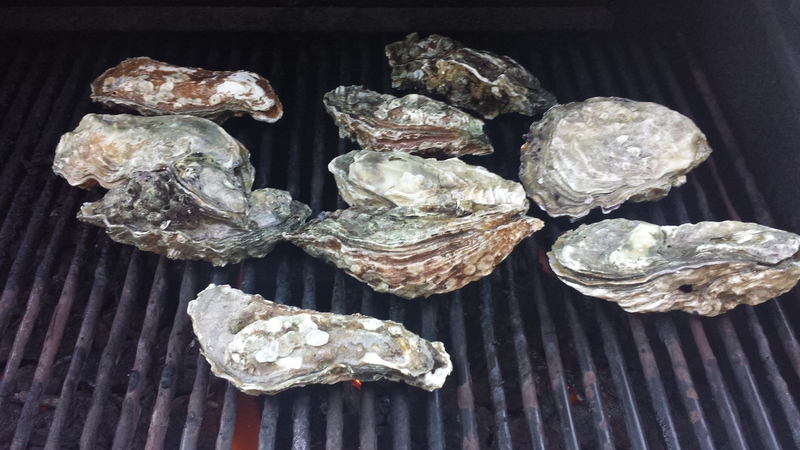 When you are ready to grill, slice 1/8″ pats of butter from the butter log and place on top of your shucked, raw oysters. Allowing the butter to melt as the oysters cook. *You can also skip the log-roll and leave the butter in a airtight covered bowl (refrigerate after making). 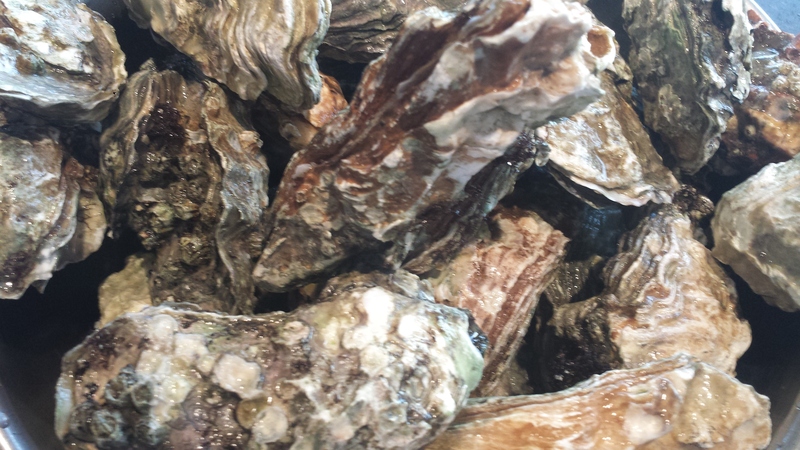 Scoop a tablespoon of the mixture onto each oyster as they grill. Tip: I opted for the burrito method for the butter and found it a bit gloppy at first. It was easier to work with once it was in the refrigerator for a bit. I rolled it in the parchment paper and went back a couple of time to form it into a more rectangular shape as it hardened. Preheat the grill to medium hot. 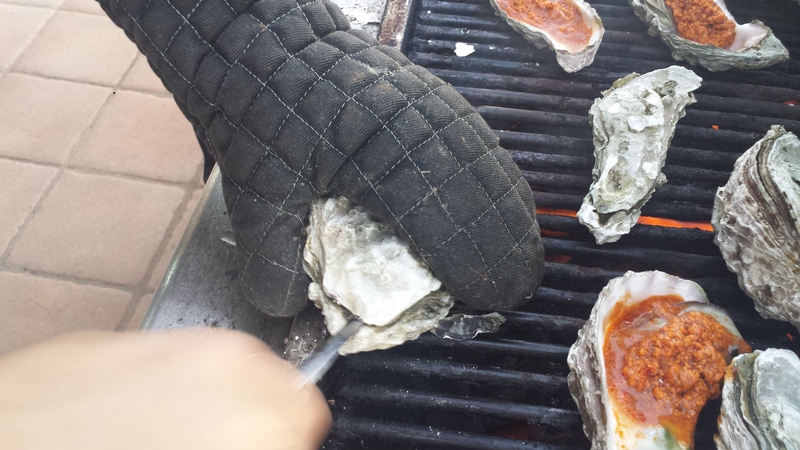 You can pre-shuck the oysters or just place them whole on the grill. Once you hear them pop, they will be easier to open. Wearing an oven mitt, pick up the hot oyster and insert the tip of an oyster knife in the opening at the skinny tip of the oyster and pry the top shell off. Place a pat of butter onto each shucked oyster and place back on the grill. After about 2-4 minutes of bubbling and sizzling remove the oysters from the heat. The oysters will be ready when the edges of their meat begins to curl and the butter sauce is bubbling hot. Remove from heat and let cool slightly before eating. This entry was posted in All Recipes, Appetizers, Pescetarian and tagged garlic chipotle butter, gluten free, grilled oysters, oysters, Pescetarian, Wheat Free. Bookmark the permalink. Looks good, Joyce. We’ll have to give that a try. 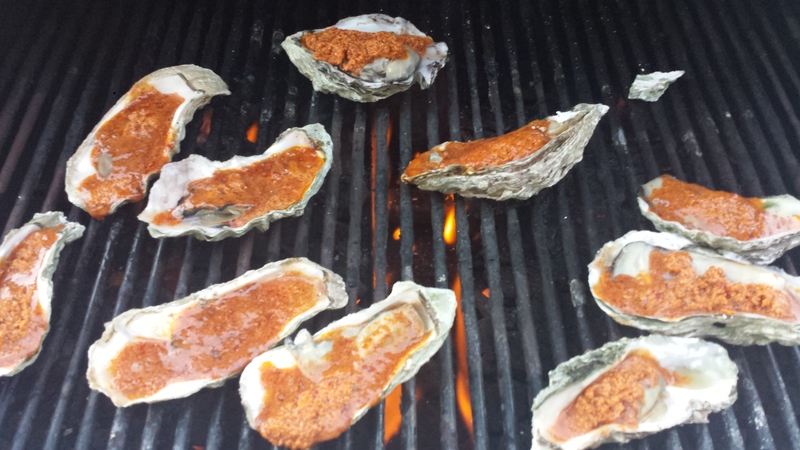 We recently had oysters grilled North Carolina style (I think it was North) (over fire, under wet burlap), served with a splash of horseradish vodka. It was good. I think you’d like it. It’s hard to duplicate recipes from memory. I hope you like this one.